Few people would disagree that children need protection and support, and that they should receive priority in policy interventions, including social protection. These beliefs are underpinned by the 1989 Convention on the Rights of the Child (CRC), which has been ratified by 192 of 195 of the world’s countries. In the past decade, social protection has played a crucial role in reducing child poverty, improving the lives of children around the world. In many countries, social protection systems have prioritized children by designing and implementing transfers targeted at children or households with children. A rapidly expanding evidence base indeed shows that social protection makes an important contribution to children’s lives, ranging from poverty reduction to improved education and health outcomes. Notwithstanding these positive developments, much more needs to be done to uphold children’s rights within social protection. This requires challenging our beliefs and assumptions about what works for children and grounding interventions in ‘child-sensitive’ rather than ‘child-focused’ social protection. Child-sensitive social protection suggests that any social protection programme — regardless of whether or not children are the intended recipients — can and should respond to children’s vulnerabilities. This means that programmes should aim to optimize positive effects as well as minimize potential adverse consequences for children, as also reflected in the 2009 Joint Statement on Child-Sensitive Social Protection by NGOs and national and international development agencies including DFID, HelpAge International, Hope & Homes for Children, Institute of Development Studies, the World Bank and World Vision. An approach to social protection that truly aims to meet children’s rights necessitates interrogation of common practice. This commentary considers a number of issues related to the design and implementation of social protection interventions that challenge their child-sensitive nature, namely direct targeting of children, attaching conditions to social protection and focusing primarily on economic strengthening. Common logic dictates that programmes targeted at children will lead to positive outcomes as they channel resources directly to children or, more commonly, to their caregivers. Child-targeted programmes have indeed had large positive effects, as evidenced by findings from around the world including from Bolsa Familia in Brazil, Oportunidades in Mexico and the Child Support Grant in South Africa. At the same time, it is important to keep in mind that the effects of these programmes may not always be positive, especially when they single out particularly vulnerable groups of children; such as those of ethnic minorities, lower caste groups or orphans. In such cases, programmes may reinforce stigmatisation and perpetuate their marginalized and vulnerable positions. In Nepal, for example, scholarships for Dalit girls were found to cause community tensions, particularly in areas where widespread poverty and vulnerability affect the population at large. Similarly, cash and in-kind transfers directly targeted at orphans have been found to cause intra-household tensions when biological and non-biological children live together. There is also anecdotal evidence indicating that there might be a risk of ‘commodification’ of children whereby monetary transfers offered to caregivers for providing foster care leads to perverse incentives. In Botswana, social workers indicated that the orphan and vulnerable children (OVC) transfers led extended family members to argue over taking care for orphans. Attaching conditions, such as school enrolment and health check-ups, to the receipt of social protection explicitly aims to ensure that children’s rights are upheld and respected. Nevertheless, there are both conceptual and practical concerns that challenge this premise. Conditions may be considered patronizing and demeaning, as they are predicated on the assumption that poor people are not able to make the desired choices for their children without being nudged to do so. Conditionality can also be considered to impinge not only on the basic human rights to income security and dignity, but also on children’s rights to agency and self-determination. The latter holds particular relevance in the case of adolescents transitioning from school into work. Conditions may also lead to unintended adverse consequences that undermine child well-being: examples from Latin American conditional cash transfer (CCT) programmes indicate that some children were kept underweight to adhere to eligibility criteria linked to malnutrition, while in Romania, some children were sent to school despite being sick. Improving household wealth is an important component of many social protection programmes. Sufficient economic resources are crucial for parents and other caregivers to fulfil their children’s basic needs, and also play an important role in improving psychosocial well-being. However, there may also be unintended adverse consequences; particularly when social protection programmes focus on economic strengthening through asset accumulation and public works. Such programmes may inadvertently increase child work at the expense of their time spent in school, studying or playing, either because children will directly ‘work’ assets such as livestock and land, or due to substitution effects whereby children take on household and unpaid care work. In Ethiopia, for example, household work among young girls was found to increase among households participating in the Productive Safety Net Programme (PSNP), as they were responsible for performing the tasks of adults who were now participating in public works. Such effects do not only undermine child well-being at present but will also undercut their ‘well-becoming’ in future. Social protection plays an important role and has considerable positive impact. This comment does not aim to downplay or undermine social protection’s crucial contribution to children’s lives. It does argue that an approach to social protection that truly aims to uphold children’s rights requires us to challenge assumptions around what works for children — now and in the future — and thereby to interrogate common practice. What may appear beneficial for children at first sight may turn out to be more complex and nuanced upon further consideration. An approach to social protection that upholds children’s rights should therefore be grounded in ‘sensitivity’ (as opposed to being focused or targeted) and context-specificity but most of all be led by an open and inquisitive mind: the devil is in the details. Grugel, J. (2013) Children’s rights and children’s welfare after the Convention on the Rights of the Child. Progress in Development Studies 13(1), 19–30. Hypher, N. and K. Richards (2015) Lessons from practice in child-sensitive social protection. Enterprise Development and Microfinance 26(2), 122-138. Roelen, K. (2014) Sticks or carrots? Conditional cash transfers and their effect on child abuse and neglect. Child Abuse & Neglect 38(3), 372-382. Roelen, K. and R. Sabates-Wheeler (2012) A child sensitive approach to social protection: serving practical and strategic needs. Journal of Poverty and Social Justice 20(3), 309-324. UNICEF (2009) Joint Statement on Advancing Child-sensitive Social Protection, DFID, HelpAge International, Hope & Homes for Children, Institute of Development Studies, International Labour Organization, Overseas Development Institute, Save the Children UK, UNDP, UNICEF, the World Bank and World Vision. 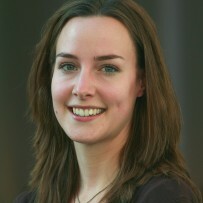 Keetie Roelen is a research fellow at the Institute of Development Studies and co-director of the Centre for Social Protection. She is a development economist by training and current research interests include the dynamics of (child) poverty, social protection and the linkages between child protection and social protection. Keetie has worked with many international organisations such as UNICEF, FAO and Concern Worldwide, performing research and policy advice work in South East Asia, Southern and Eastern Africa and Central and Eastern Europe. She has quantitative and qualitative research skills and has designed and delivered lectures and training courses for Master students, professionals, practitioners and policy makers. Her work has been published in the form of peer-reviewed journal publications and book chapters, working papers and project reports. This is an original contribution to the Social Protection and Human Rights resource platform for practitioners and policy makers. This part of the platform is a collection of expert contributions and commentary from advocates, practitioners, policy makers and academics sharing practical guidance and thought-provoking commentary on their experiences with a human rights approach to social protection. Please share your thoughts on this article in the comments space below.